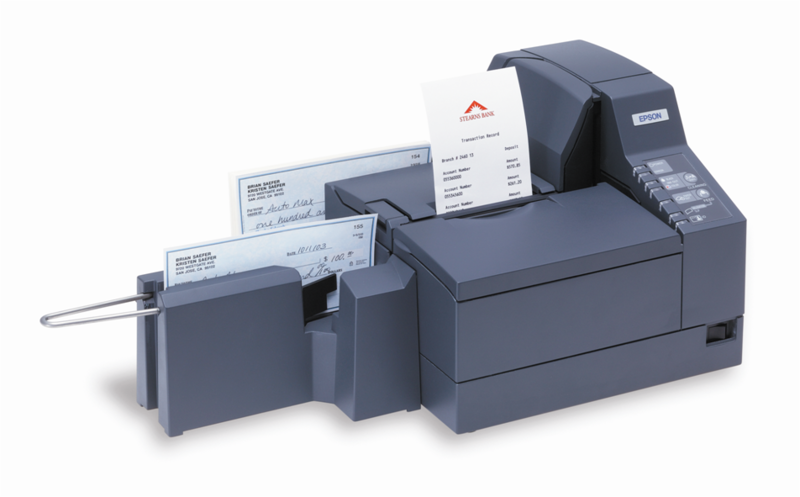 Epson's TM-J9000/J9100 check scanners with integrated, high resolution inkjet printers feature Epson's exclusive TransScandigital check imaging technology that captures a two-sided image of the check in seconds. And they feature a timesaving auto feeder and double check feed sensor, and can scan up to 30 dpm. They also feature Epson's ProofPlus ID card scanner that lets you capture a complete image of a customer's ID card at the teller window. In addition, this multifunction inkjet printer offers the highest MICR read rate in its class, drop-in validation, one- and two-color receipt printing and more.